As natural gas drilling in the Marcellus Shale regions of Pennsylvania intensifies and expands, Pennsylvania Republican dominated Legislature and Governor Corbett continue to delay passage of regulations to regulate or tax the expanding industry. This is so even though so called “conservative” and “gas industry friendly” states such as Texas continue to tax gas profits at significant rates, but also continue to pass and enforce regulations on almost every portion of the gas drilling industry. Case in point are the new disclosure regulations which become enforceable in Texas on February 1, 2012. The new regulations require gas companies to report the nature of chemicals used in the fracking process. These reporting requirements have been sought by environmental groups and landowners for some time. Additionally, gas drilling companies in Texas must now report the amounts of fresh water used daily at each natural gas drilling pad. This is significant because Texas is in the grasp of its worst drought in state history. Estimates are that between one (1) per cent and two (2) per cent of all fresh water in Texas is utilized in the fracking process. Critics say this could be higher. These issues have not been officially regulated to any extent in Pennsylvania. Meanwhile the debate, mostly among controlling Republican members–many receiving significant criticism in their home districts—continues in Harrisburg. The thirteen (13) Trial Lawyers at Dougherty Leventhal Price LLP–DLP–PENNSYLVANIA CATASTROPHIC AND SERIOUS INJURY ATTORNEYS—-continue to follow closely these and other Marcellus Shale natural gas drilling rig issues throughout Northeastern and Central Pennsylvania including Lackawanna, Luzerne, Wyoming, Sullivan, Susquehanna, Bradford, Tioga, Potter, and Lycoming Counties. 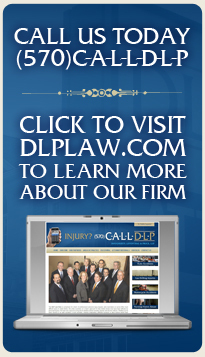 Contact Us | Copyright © 2010 DLP LAW . All Rights Reserved.